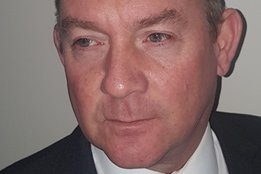 Ian Adams, the newly appointed Executive Director of scrubber advocate group CSA2020, has wasted no time coming to the defence of open-loop scrubbing. "Exhaust gas cleaning systems can have a profoundly positive impact on the port and ocean environment, in terms of improving shipping's environmental footprint and reducing the health impact from airborne sources. After all, this is what the 2020 regulation aims to do," he said in a statement released today. "I am sure the early installers of scrubber technologies will at some point be considered visionary." While advocates such as Clean Shipping Alliance 2020 (CSA2020) and the Exhaust Gas Cleaning Systems Association (EGCSA) have long maintained the practice is environmentally sound, detractors say otherwise. Mounting criticism in recent months came to a head in November with an announcement by Singapore it would ban open-loop scrubbing in port waters "to protect the marine environment and ensure that the port waters are clean." China this year also looks to be heading to a full open-loop ban, while a number of other maritime authorities say they are watching developments closely. Adams believes such action is being taken without a solid scientific grounding. "There has been a lot of loose speculation about the environmental benefits of these systems; conjecture that obscures the fact that exhaust gas cleaning systems have a very positive net environmental impact on the maritime environment," said Adams. "We are deeply concerned that decisions are being made without the benefit of existing academic studies and research or any knowledge of the performance of these systems." Other analysts say demand concerns have proven not too be too influential. The 2009-built Cecilia Cosulich is a 5,500 DWT double hull vessel fitted with a Mass Flow Meter. Price is too high and people don't need it yet, says Vitol.